Every one wants to be Robin Hood! 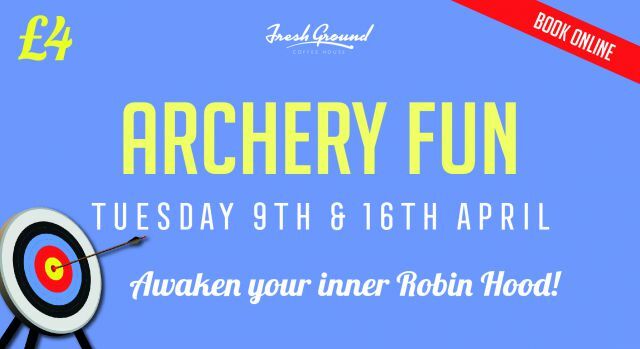 - Now is your chance at Fresh Ground with Archery Fun. Only £4 for 50 minutes of play. Book online - Times: 10am, 11am (SOLD OUT), 1pm and 2pm (Will open when other sessions are booked). On 16th April.